Response: When you play an event, give it Doomed 1 to draw a card. 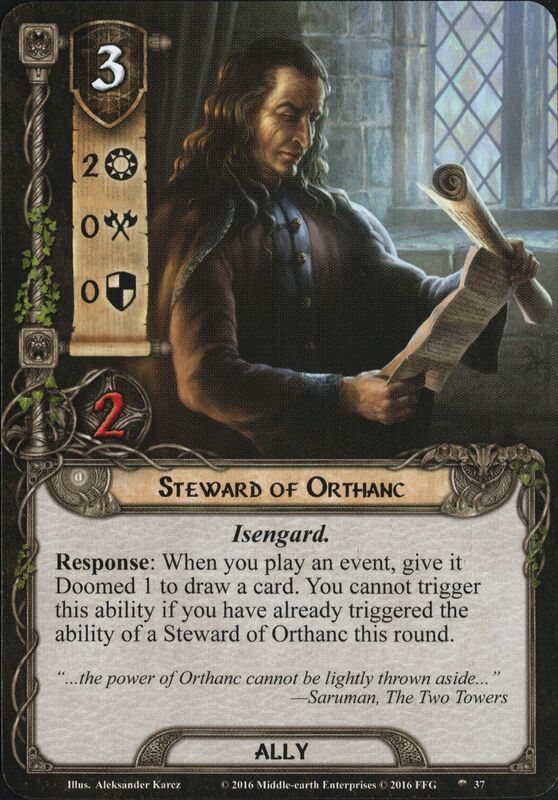 You cannot trigger this ability if you have already triggered the ability of a Steward of Orthanc this round. "...the power of Orthanc cannot be lightly thrown aside..."